A hand drawn pieces of art by Marcony. 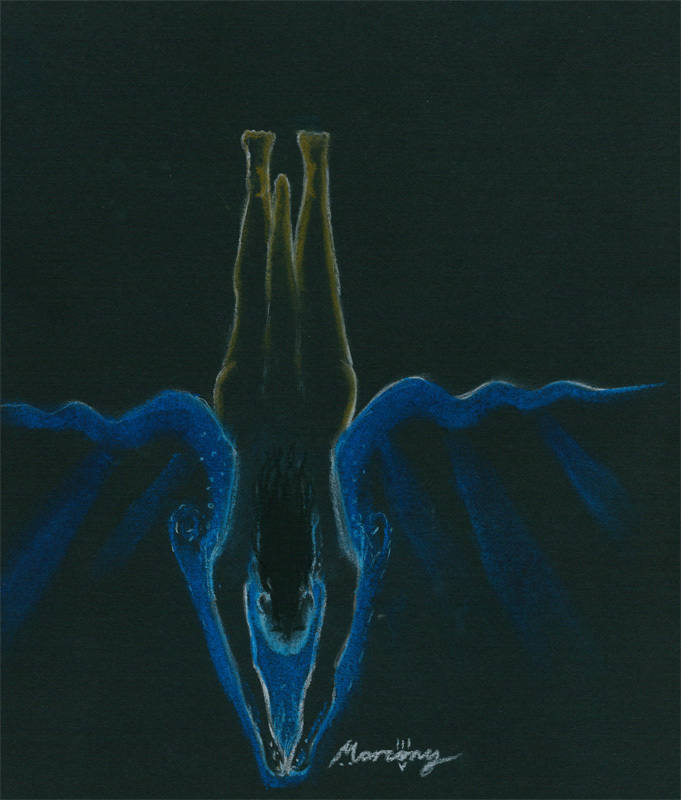 Drawn in pastel on heavy black paper, this picture one of an on going series of various characters diving. Sale Price £30 (UKP) +P&P (and import tax if aplicable to your country) Prices do not include shipping or such tax as may be paid to import items to your country if aplicable where you live. Pleae Email me on Marcony@StateOfAnchovy.co.uk to enquire and buy.